On Saturday, the Ottawa Senators had the day off in Florida ahead of their Sunday game against the Panthers. The Senators went on to win the match up, but Florida sure got the last laugh this weekend. 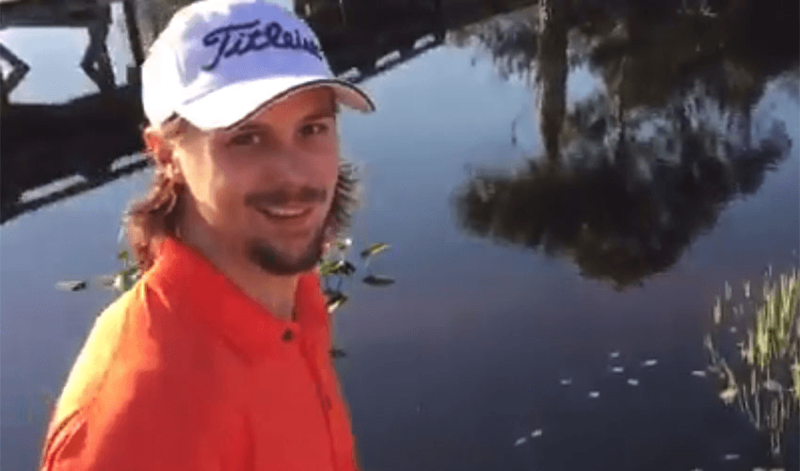 Erik Karlsson decided to spend the off day playing a round of golf at the Medalist Golf Club in Hobe Sound with professional golfer Jesper Parnevik and Daniel Alfredsson. While trying to pose for a photo, Karlsson jumped out of his skin when an alligator splashed in the lake nearby, sending the Senators captain running. Karlsson was asked about the incident after his team's morning skate on Sunday, and he confirmed that while it freaked him out, it was a relaxing day overall and he wouldn't let it stop him from playing golf in Florida again. "I'm a veteran now," he said. "I'll be fine. I know how to handle it.​"